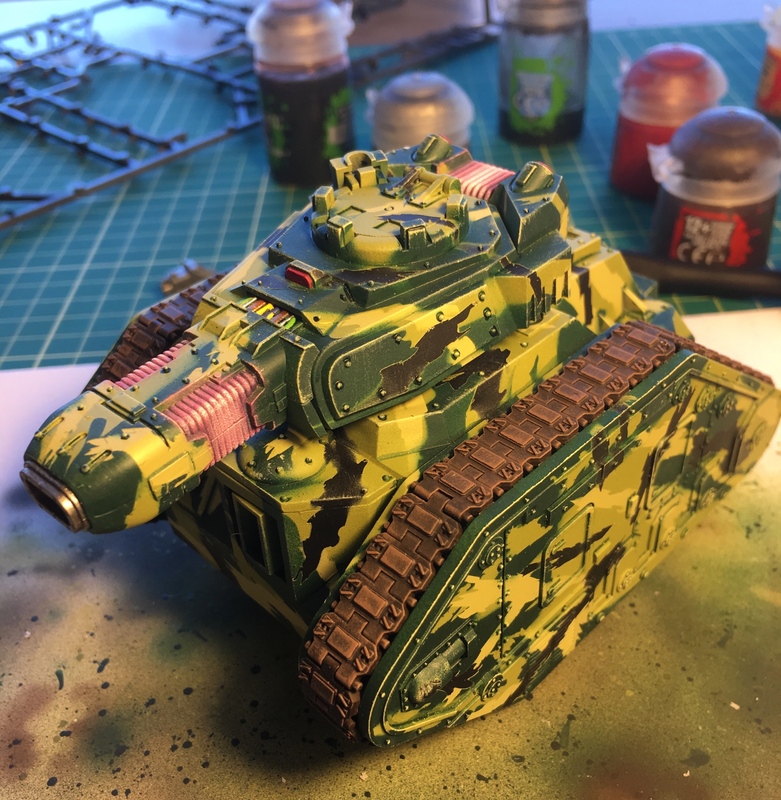 The Leman Russ Executioner's camouflage pattern looks great! I second that. It's a great camouflage pattern. It's the perfect catachan tank. Your masking work is very impressive! The vehicle alk look great! Managed to get the tracks on. Starting with the detail now. 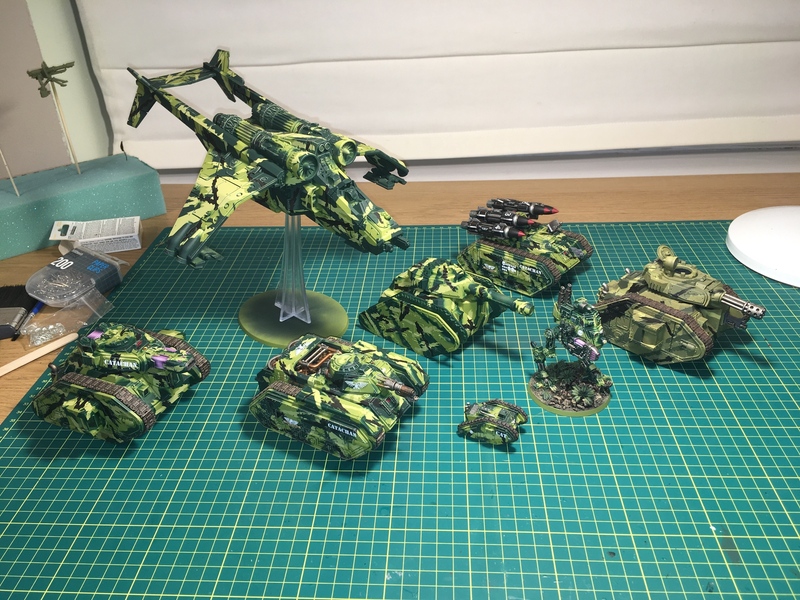 I really, truly love the camo scheme! I don't think it could belong to anyone other than a Catachan unit! Thought I’d start preparing for the assassins next month. Almost done on the callidus and done the suit for the Vindicare. Will you be doing all 4? It’s all drybrushing. Haven’t learnt to layer yet! I may do. 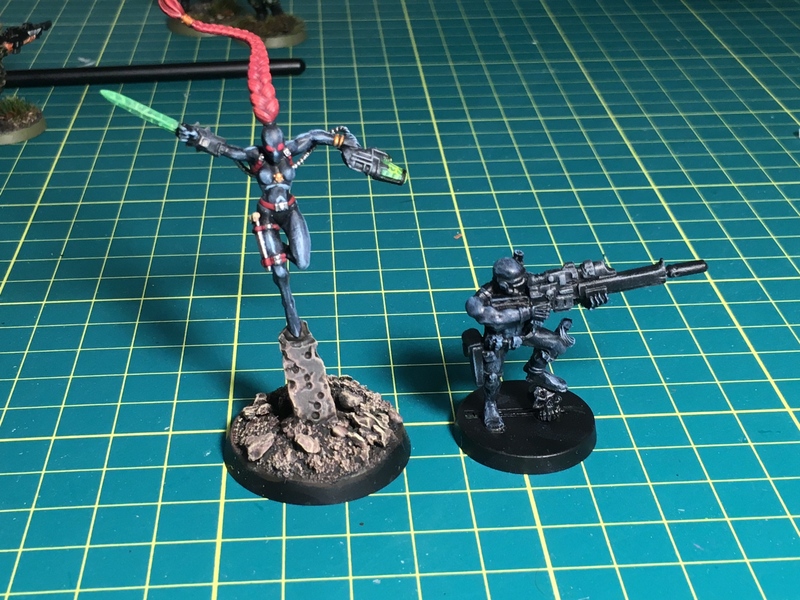 I have an old style Culexus already painted and the old generic Assassin which looks most like an Evesor. I’ll finsih these 2 and see if the rules are any good then decide whether to go for the newer models of the other 2. The new Vindicare model looks rubbish though so I’ll be keeping the old one! You'll have to tell us how the Callidus performs - I found one clearing a box last night so I'm genuinely curious now. I used her before the assassin changes, she left her Grey Knight target character on 1w and proceeded to get psyked the next turn. Though now she would have killed him with the double damage change to the sword. 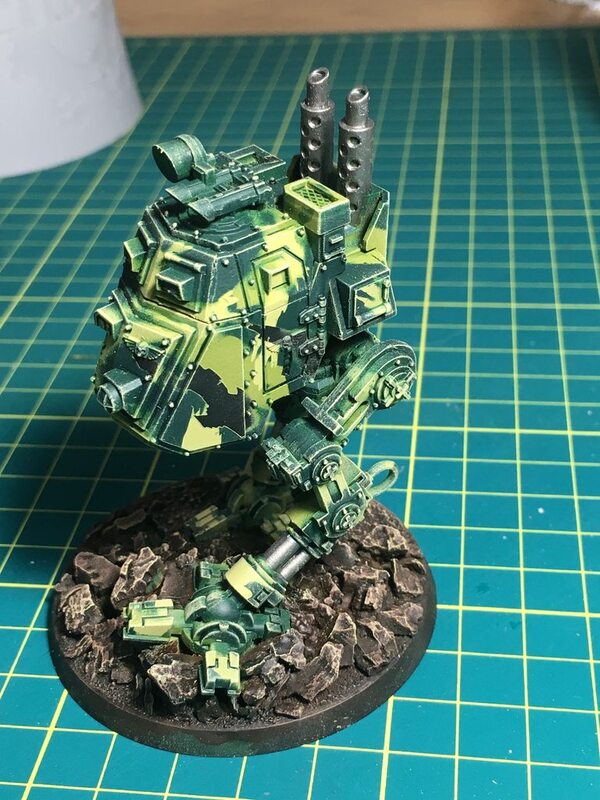 The armored Sentinel's camouflage is expertly applied. 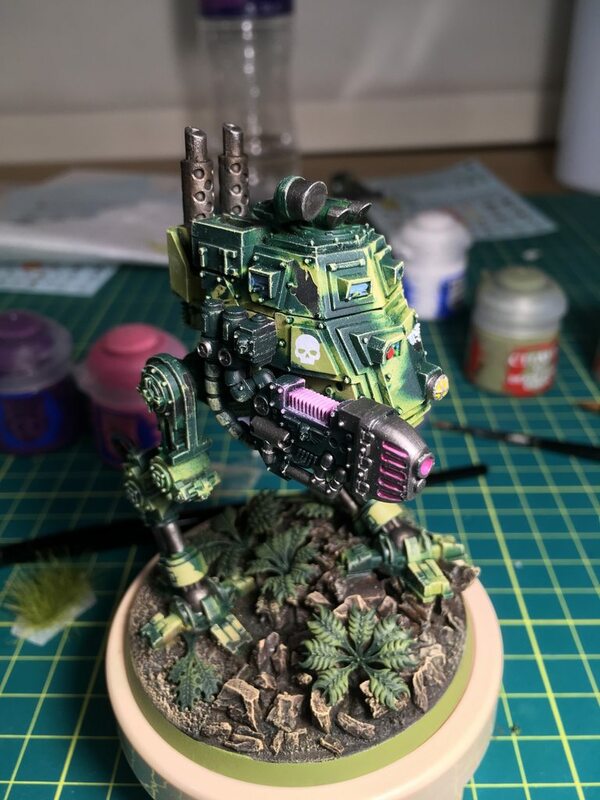 I think the gun stands out too much so I may redo it with the camoflague pattern as it looks too dark just being Caliban Green. The infantry... not so much. Aww look at the baby tank! Looking good, love the camo effect. That's what everyone thinks until they realise what it does! Ah, the RC explosive tank. They're pretty fun. Again, I must compliment you for your efforts. The vehicles look GREAT in splinter camouflage.